Denis of the Nativity, a priest, called in the world Pierre Berthelot, was born in Honfleur in France in 1600. He was a cartographer and naval commander for the kings of Portugal and France before he joined the Discalced Carmelites in Goa in 1653. 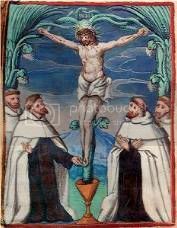 It was also at Goa that the Portuguese lay brother, Thomas Rodriguez da Cunha, born in 1598, had made his profession in 1615, taking the name Redemptus of the Cross. They were sent to the island of Sumatra, where, in the town of Achen, they received the martyr’s crown on November 29, 1638. The 29th of November is Archbishop Marcel Lefebvre’s birthday. If he was right in what he did he may still need our prayers. If he wasn’t, he needs them even more. Requiescat in pace. Most gracious God, by whose knowledge the depths are broken up, and the clouds drop down the dew; We yield thee unfeigned thanks and praise for the return of seed-time and harvest, for the increase of the ground and the gathering in of the fruits thereof, and for all the other blessings of thy merciful providence bestowed upon this nation and people. And, we beseech thee, give us a just sense of these great mercies; such as may appear in our lives by an humble, holy, and obedient walking before thee all our days; through Jesus Christ our Lord, to whom, with thee and the Holy Ghost, be all glory, and honour, world without end. Amen. The more I use the Holy Father’s new series of mysteries the more I like them. He calls them the mysteries of light but my own meditation has been following a theme centered on water. 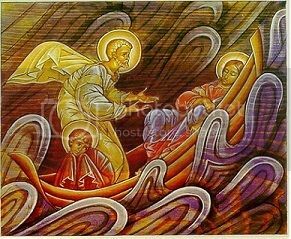 A Carmelite friend explained to me once that a true prophet in the Old Testament was always one who had power over water. Baal was the god of water and rain. So the prophets of the true God showed their superiority by having greater power than the Baals over the element of water, the essential for all life on earth. All through the New Testament, Our Lord shows greater authority over water than any prophet. The mysteries of light seem to me to highlight this. In the first mystery Our Lord is baptized by John the Baptist and thereby sanctifies water for all time. He makes it suitable for the sacrament of baptism and for sanctifying us. In the second mystery Our Lord takes the element of water and transforms it utterly by turning it into wine, thereby bringing it to a higher natural order. In the third mystery the kingdom is proclaimed. The first step here is to “repent and be baptized.” Here water is used on a higher spiritual plane to bring life in the spiritual order. In the fourth mystery of the Holy Transfiguration, Our Lord appears with the two Old Testament prophets who had the greatest power over water, Moses and Elias. Moses parted the Red Sea and brought forth water from a rock. Elias started and stopped droughts and was able to bring fire from heaven to consume a sacrifice soaked in water. 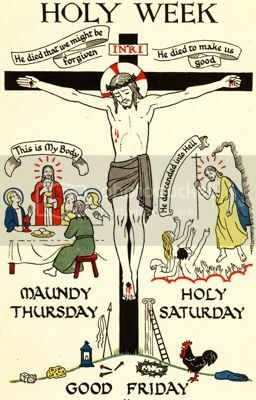 In the fifth mystery which includes the institution of the Blessed Eucharist, Our Lord transforms wine into his own Blood. In the second mystery water is raised up a step to wine and now the wine is raised even further by becoming the Lord Himself. At the end of the sorrowful mysteries, water and wine together flow from the Lord’s pierced heart. Do I make too much of the water theme? Maybe. But so far it has been a fruitful meditation. The amazing vitality of this parish was once again evident today. There were only two Masses today, the eight and the noon. The noon Mass was completely packed out, SRO. I'm told the 8 a.m. was also. If the posted signs listing the church's capacity are accurate, that means 1300 people at each Mass. 2600 people, then, attended Mass here on a weekday, non-holy day of obligation. About half stayed for the rosary afterward. Three priests were hearing confessions when I came in at about 11:50 until 1:15. This place is a treasure. Lesson: If you preach it, they will come. Here is an interesting article on soldiers, war, and prayer from the Jerusalem Post. (The link was noted in The Corner.) That the confluence should seem unusual is a modern invention. Hostium nostrorum, quæsumus, Domine, elide superbiam: et eorum contumaciam dextereæ tuæ virtute poresterne. Per Dominum nostrum. Amen. Or another, this one "for our enemies". It prays for their good but is still under no illusions that they are, indeed, our enemies. Deus, pacis caritatisque amator et custos: da omnibus inimicis nostris pacem caritatemque veram: et cunctorum eis remissionem tribue peccatorum, nosque ab eorum insidiis potenter eripe. Per Dominum nostrum. Amen. For the Vincentians and the Daughters of Charity this is the feast day of St. Catherine Labouré. It was to St. Catherine that Our Lady appeared on May 2, 1806 and gave the design for the Miraculous Medal. At Knavesmire in York, the Blessed Fr. James Thompson was martyred on this day in 1582 because of his priesthood and loyalty to the papacy. St. Margaret Clitherow used to visit his grave and that of the other martyrs buried under the gallows. This is also the old feast of St. Sosthenes who was with St. Paul when he wrote his first Epistle to the Corinthians -- 1 Corinthians 1:1-3. This is also the birthday of Mary Bridget Cahill, who, although not yet formally canonized, being still alive, is looked upon by many as approaching the hieghts of sanctity due to the sweet and cheerful manner in which she bears the heavy burden of being married to. . . . .me. Part of the reason there was no blogging on this site yesterday has to do with TCM's offerings: The Searchers, My Darling Clementine, She Wore A Yellow Ribbon, Fort Apache, and Rio Grande all in one night. Five of John Ford's finest one after the other. Every one of them portrays Ford's exquisite sense of honor and duty, which most of his films seem to be about. I'm continually surprised that he's still admired as much as he is. His values are certainly not popular with the Great Minds who tell us which films are the great films. A scene from Rio Grande which always warms my Catholic heart: Victor McLaglen is running with a child to escape from an Indian attack in an abandoned Spanish mission. He stops for him and the child to genuflect to the altar. A line which delights me (I have no idea why) from The Searchers: Ward Bond to a junior army officer: "Boy, if you don't hear me holler, you better read my mind, 'cause I don't aim to raise no two hollers!" I have been neglecting this page of late. No excuse, sir. Events of no particular moment impeded my keyboard time. I missed St. Catherine of Alexandria, the patroness of philosophers, on Monday the 25th. We used to get her day off, many moons ago when I was a struggling scholar. Except those who were in the philosophy debate. It was far from a holiday for them. Today is the 27th of November and the old feast of Our Lady of the Miraculous Medal. My weekday parish is run by the Oblates of the Virgin Mary (the best congregation in the church? Possibly. Certainly in the running.) and our Mass today was a votive Mass of Our Lady in honour of her old feast day. Bowes was a Yorkshire gentleman who was a Catholic at heart but, for fear of losing his property, conformed from time to time by putting in an appearance at his parish church. For all that, he gave shelter to priests and engaged a Catholic tutor for his children. In 1585 this tutor was arrested, and by ill usage and bribery was induced to apostatize and turn informer; he denounced his master a harbourer of priests. Bowes and his wife were arrested. She seems to have been released; but her husband was found guilty on the sole evidence of the tutor, who, as a contemporary remarked, “could be bought for sixpence.” Bowes was the first layman to be executed under the statute that made helping priests a felony. He was hanged at York on 27 November 1585, openly confessing his real faith. There suffered on the day before him Hugh Taylor, a Durham priest who had absolved Bowes in prison. He was the first priest to suffer under the Act against “Jesuits, seminary priests and other such like disobedient persons”; he had been a seminarist at Rheims, ordained only the year before. In the diocese of Clifton in England this was the feast of St. Cungar who led the life of a hermit in Somerset. He built a church in honour of the blessed Trinity, and founded a monastery near Yatton. He afterwards founded a monastery in Glamorganshire, known as the abbey of St. Docunus, where he died, c. 520. In Aberdeen in Scotland is kept the day of St. Fergus. The Aberdeen Breviary states that St. Fergus (in Latin: Fergustus) a bishop, left Ireland to preach the Gospel to the Picts. He evangelized parts of Perthshire and Aberdeenshire. 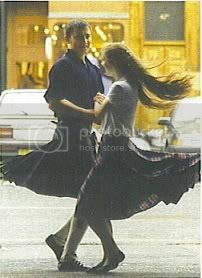 He was known as ‘Fergus the Pict’. He died c. 730, and was buried in the church of Glamis. His head was afterwards enshrined in the abbey church of Scone. In Ireland the feast is that of St. Fergal or Virgil, an Irish missionary who became Archbishop of Salzburg. He spent his life in the evangelization of Germany, and was helped in his apostolate by the king Pepin, and afterwards by the emperor Charlemagne. He rebuilt the abbey of St. Peter in his cathedral city, and translated thither the relics of St. Rupert, the founder of that see. He baptized two successive dukes of Carinthia, and sent thither missionaries under the conduct of the bishop, St. Modestus, who planted the faith in that country. Full of labours and merits, he entered into his eternal rest on November 27, 784. His relics are enshrined in his cathedral. The brief lives of Ss. Fergal, Fergus, and Cungar are from the old 4 volume St. Andrew’s Missal which uses "thither" a lot more than I realized. This is the 27th and Last Sunday after Pentecost in the traditional rite using the Missal of Blessed Pope John XXIII. In the Pauline rite, this is the last Sunday of the year and the Feast of Christ the King. I posted some information on the feast of Christ the King here when it was celebrated in the traditional rite. It was requested by the Holy Father when this feast was instituted that there be a consecration to the Sacred Heart of Jesus every year on this feast. 28. Therefore by Our Apostolic Authority We institute the Feast of the Kingship of Our Lord Jesus Christ to be observed yearly throughout the whole world on the last Sunday of the month of October - the Sunday, that is, which immediately precedes the Feast of All Saints. We further ordain that the dedication of mankind to the Sacred Heart of Jesus, which Our predecessor of saintly memory, Pope Pius X, commanded to be renewed yearly, be made annually on that day. –from the Encyclical Quas Primas establishing the feast of Christ the King. I wonder, is that done any more anywhere? I don’t recall ever having seen it. In the traditional calendar, this is the feast of St. John of the Cross, Doctor of the Church. saved him from drowning. Helped by Alvarez of Toledo, his benefactor, he received an excellent education with the Jesuits. He entered the Carmelites in 1563 and took his vows at Salamanca. He was thinking of becoming a Carthusian when he met St. Teresa and determined to work with her for the reform of Carmel. He was the saint’s confessor and her friend. In 1577, the Carmelites, opposed to the reform, had him imprisoned at Toledo. It was in prison that he outlined “The Ascent of Mount Carmel”, “The Spiritual Canticle”, and “The Dark Night”, which have placed the great ecstatic in the front rank of Western mystical writers and of his country’s poets. In 1580 the work of the reformer received the support of the Roman Curia, and John died in peace ab Ubeda in 1591. The Carmelites keep his feast in December as does the Pauline calendar. More on St. John in December. November 24 is also an ancient feast commemorating two 9th century young girls martyred by the Mohammedans, Ss. Flora and Maria of Cordova. St. Flora was born of a Moslem father and a Christian mother. When she converted to the faith, she was denounced to the cadi by her brother, arrested and tortured. She escaped and fled to Ossaria. Hunted and pursued and not knowing which was to turn she went into a church to pray. There she met another young girl also wanted for being a Christian. Seeing no way out, they presented themselves to the Cadi declaring they would never deny their faith. As they had hoped they were not separated, but were imprisoned together and martyred together on November 24, 851. Their story is related by St.Eulogius who was imprisoned with them. He attributes his release to their intercession. A few years later, he too was killed by the Moslems. looking for simple and singular solution, that uses the foolish expression. The home away from home for Heywood Broun, Dorothy Parker, James Thurber, Franklin P. Adams, Edna Ferber, Robert Benchley, George S. Kaufman, Alexander Woolcott, and maybe even Sheridan Whiteside is 100 years old this week. The Algonquin is still there in midtown Manhattan, well-maintained and keeping it's early 20th century ambience. Was it Robert Benchley who was the first to point out that men will not stop to ask directions? His essay explaining how he came to live in New York might be the origin. Benchley decided to go for a short drive one Sunday in Ohio, got lost and wouldn’t stop to ask directions. When he arrived in New York he couldn’t go any further – the Atlantic Ocean was in the way – so he took rooms and stayed. He often wondered how the old homestead in Ohio was doing. And depressed and depressing as she could be, I still love Dorothy Parker. A single flow’r he sent me, since we met. One perfect limousine, do you suppose? According to the L.A. Times Cardinal Mahony is a year away from closing down St. John’s Seminary College. I’m saddened and disappointed but I can’t say that I’m surprised. In my first year there were 108 students in my class on our first day. According to this article there are now 90 for all four years. And the 90 are not just for Los Angeles. St. John’s serves several dioceses and religious congregations. It would have been a wonderful thing to see the church revitalized and vocations filling St. John’s. Apparently that is not to be. At least, not yet. It doesn’t appear that there are any plans to sell of any of the property. And I don’t see how that could easily be done without negatively affecting the St. John’s Theologate. Maybe St. John’s will blossom again one day. down in-coming missiles and will never work in a million years? At long last it seems to be cooling off. It's been in the 90's here for a couple of weeks. This is November; it isn't supposed to be 90+ degrees. Finally, today just reached the low 80's. It make practicing pipes in the park a lot more comfortable.
. . . .is kept in honor of St. Cecilia, the patroness of singers and musicians. Some images of St. Cecilia represented in art can be found here. The story of St. Cecilia as related in Caxton’s Golden Legende can be found here. On this day in 1963, at 5:30 in the evening, C. S. Lewis died at his home at The Kilns after a long battle with heart failure and kidney problems. His death was largely overlooked at the time as this was the same day that President John F. Kennedy was assassinated. There will be no shortage of retrospectives on JFK. But I find C. S. Lewis of more lasting interest. Science fiction, children’s stories, novels, Christian apologetics, all came from his pen. There is a gallimaufry of C. S. Lewis links here. This blog’s address commemorates one of Lewis’s ‘locals’ in Oxford. ago, a little before the arrival of the UN inspectors in Baghdad, arrived the relics of Saint Therese of Lisieux, from Beirut where they remained for two- and-a-half months of pilgrimage in the country of the cedars. “The visit of the sacred relics, can keep the ghost of the war from Iraq and from the entire region” Cardinal Pierre Nasrallah Sfeir, the Patriarch of Antioch of the Maronites. affirmed. The pilgrimage of the relics in Lebanon has been sealed, last Sunday, by the celebration of the Saint Mess in the cathedral of Notre-Dames of Sarissa, in which thousands of faithful took part. Among the highlights of the itinerary was the passage of the relics of Saint Therese in the prison of Roumieh, to north of Beirut, where 5 thousand prisoners hare held. After the mass, all the prisoners were allowed to pass through the courtyard to revere the relics of Saint Therese. In his homily, the Maronite Patriarch questioned the effectiveness of the imprisonment in the struggle against the crime, and then addressed the prisoners. The Cardinal finished with an invitation to repentance and reconciliation. The Patriarch furthermore expressed his gratification for the popular fervour on the occasion of the visit of the relics of St. Therese of Lisieux in the various parts of Lebanon, which were received everywhere by processions, in which Christians and Moslems took part.. There is a picture here. The law lords have decided to ban legal Latin from English courtrooms. And Welsh courtooms, too, I suppose. This is all in aid of making the law less mysterious and opening it up to the non-legal practitioner. A more perfectly idiotic rationale would be hard to imagine. It is, you'll pardon the expression, prima facie preposterous. We went through this in California some years ago. I have news for our English cousins: those who don't know what mandamus is still won't know what a writ of mandate is. One who doesn't know what a subpoena is all about is going to be equally befuddled by a summons. It is difficult to avoid the belief that this has little to do with clearing up "mystery" in the profession, and quite a lot to do with a world view that looks at Latin and anything else to do with the classics as elitist. (And elitism, as we all know, is very bad.) It seems also to be a part of the general dislike of our intellectual ancestors and our history, all that made us what we are. Those who would like to change human nature by fiat don't like to be reminded that civilizations are organic; change takes time and can only occur in accordance with the nature of the thing being changed. "A little knowledge of Latin, it seems to me, is also a useful reminder that although the ancients were without so much that we have today – the jet aircraft. . . .the mobile telephone, Internet, precision bombing. . ..—they possessed a certain wisdom and a gift for conveying it which is beyond us today,” Deedes wrote. And far from being elitist, he says, a little knowledge of Latin brings humility.
. . . .is the feast of the Presentation of the Blessed Virgin Mary in the Temple at Jerusalem. Sacred Scripture contains no text concerning the event commemorated in today’s liturgy. For something of a historical background one may consult the apocryphal works, particularly the Protoevangel of St. James (ch. 4:1ff). After an angel had revealed her pregnancy, Anna is said to have vowed her future child Mary to the Lord. Soon after birth the infant was brought to the sacred precincts at which only the best of Israel’s daughters were admitted. At the age of three she was transferred to the temple proper (7:2). Here she was reared like a dove and received her nourishment from the hand of an angel. (8:1). Thus legend. In the East, where the feast, celebrated since the eighth century, is kept as a public holiday, it bears the name, “The Entrance of the Mother of God into the Temple.” It was introduced at Rome by a Cypriotic legate to the papal court of Avignon in 1371. In 1472, Sixtus IV extended its observance to the whole Church. Abolished by Pius V, it was reintroduced some years later (1585). –from “The Church’s Year of Grace”, vol. V, Pius Parsch. Joachim married Anna, a most excellent and praiseworthy woman. Once there had lived another Anna who overcome physical sterility through prayer and a promise to God, and then gave birth to Samuel. In a similar way our Anna received from God the Mother of God through a vow and heartfelt petition; for she would not yield in any way to the illustrious women of previous ages. Accordingly grace (for the word Anna means grace) gave birth to the Lady (this is signified by the name Mary). 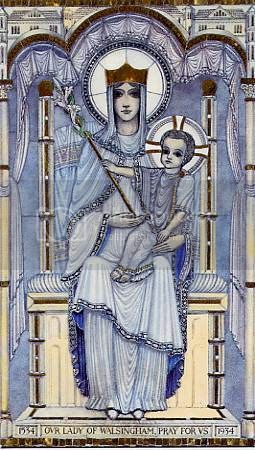 Truly Mary became the Lady above all creation in her role as the Mother of the Creator. She was born in Joachim’s house near the Probatica, and was presented in the temple. Thereupon ‘planted in the house of God’ and nurtured by His Spirit, like a fruitful olive tree she flowered forth in every virtue. From her mind she drove every worldly or sensual desire; she preserved virginity of soul as well as of body, as was becoming to one destined to carry God in her very bosom. Take a look at Mark Shea's site for an excellent report on how the White House received news of the new Chinese leader, Hu Jintao. WARNING: Don't read while drinking coffee. Or anything else. My world, anyway. My wife is finally back from her visit to her mother in Ireland. She was only gone a bit under two weeks but it seemed like two months. I hate it when she's not around. She came back last Sunday. No terrorists attacked the flight and I can breathe again. Right now she's sound asleep in the den not watching the all-news channel which is playing. knows why) that's why you can't find it any more. This article in the Australian magazine Oriens has been around for a while and I’ve read it before. But it was referenced again recently and it strikes me as being even more timely now than when first published. Some of my dear traditionalist brethren do seem to have a far longer list of excommunicable offenses than the poor old Spanish Inquisition ever dreamed of. (And, of course, not just those “others” --sigh!-- but me, too. Push one of my liturgical hot buttons and I will be out there collecting kindling for the auto da fe before you can say Quo Primum.) But it shouldn’t be so. That attitude isn’t even part of our “tradition”. The heretics have generally been the puritans, fanatics and purists. The Catholics generally had the softer approach to life. The heretics were always wanting to clean up the house like Martha, the Catholics content to put up their feet and chat with the head of the household like Mary. The Catholic attitude to life should be just a little bit irresponsible and perhaps even scandalous, rather like the Church’s founder. The Traditional Movement because of its unfortunate marginalisation is always in danger of this temptation to tidiness which historically has not been the characteristic of a Catholic outlook but of a heterodox one. The Church of Christ has never been tidy, efficient or well organised. Catholics, with some notable exceptions, have never been very good, for example, at running wars or bureaucracies. This is as it should be since the Church’s job is to get people into heaven, not to wash or scrub them or to make them into model citizens of whatever sort. The author’s name isn’t given. I wish it were so more of his articles could be searched out.
. . . .is the traditional feast of St. Felix of Valois, co-founder of the Order of the Most Holy Trinity. At the end of the 12th century there lived in a forest of Valois a hermit called Felix, who had been seen there as long as men could remember. He received one day a visit from a Paris doctor named John of Matha, who came to share his thoughts with him. God, he believed, had called him to succour the numerous Christians at that time being taken to Africa by the Mediterranean pirates. Felix confided to him that he himself had had the same inspiration from heaven. They resolved to found together, in the name of the Holy Trinity, an institution devoted to ransoming these unfortunates, and they left for Rome to obtain sanction of their project. Pope Innocent III accorded them his approval; thus the order of the Trinitarians was founded. A monastery of these monks was founded in Rome, of which John of Matha became superior, and another at Cerfroid (Aisne) which Felix ruled until his death. And that – according to Omer Engelbert – is all that is known for certain about St. Felix. 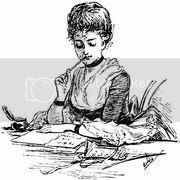 “Some authors have, however, composed a more extensive biography.” You can find some of it here. St Edmund the Martyr, King of East Anglia, is honoured today in the old calendars. He was made prisoner by the invading Danes and put to death in 870. His body was found incorrupt 57 years after his burial. Bury St. Edmunds was the location of his shrine until its destruction under Henry VIII.
. . . .in the Carmelite calendar is the feast of St. Raphael Kalinowski -- engineer, patriot, soldier, prisoner in Siberia, and Carmelite priest. He was especially devoted to the Blessed Virgin Mary. From the website linked above: To try and comprehend the core of Father Raphael's sanctity throughout his varied life in the world, in the hard Siberian years and in the Carmelite Order, we have some quotations in his own words. He continually reminded his religious: "In Carmel our principal duty is to converse with God in all our actions." He stressed continual communion with God. Another facet of his spirituality which he emphasized to the friars and nuns was intimacy with Our Lady whom he loved as "mother and foundress of the Order; whom one always needs to keep in mind. For Carmelite friars and nuns, it is of capital importance to honor the Most Blessed Virgin. And we love her if we endeavor to imitate her virtue, especially humility and recollection in prayer. Our gaze ought to be constantly turned to her, our affections directed to her, ever keeping in mind the remembrance of her benefits and trying always to be faithful to her." He wrote several booklets on Our Lady: Mary Always and in Everything, Cracow 1901; and The Cult of the Mother of God in the Polish Carmel, Leopoli-Warsaw 1905.
. . . .almost didn't get blogged on at all. But there are 5 minutes left in the day -- just enough time to mention that it was the feast of the dedication of the basilicas of Sts. Peter and Paul in Rome. And also the feast of St. Odo of Cluny. Today is the 33d Sunday per annum in the Pauline rite and the 26th Sunday after Pentecost in the traditional rite using the Missal of Bl. Pope John XXIII. The propers used today in the traditional rite are those of the 6th Sunday after Pentecost. In several English dioceses and in the Carthusian Order this is the feast of the 12th century bishop, St. Hugh of Lincoln. St. Hugh was a Burgundian and a Carthusian whom King Henry II obtained as superior for his newly founded priory of Witham in Somerset. He eventually became bishop of Lincoln. Although he had serious disputes with the king during his tenure as bishop, so greatly respected was he that at his funeral two of his pall bearers were the Kings of England and Scotland. In the traditional calendar this is the feast of St. Gregory Thaumaturgus, i.e., “The Wonderworker”, bishop and confessor. “[B]ishop of Neo-Caesarea on Pontus (Asia Minor), [he] was graced to an extraordinary degree with the charism of performing miracles. Basil the Great compared him to Moses, the prophets, and the apostles. For instance, by his prayer he moved a hill which obstructed the construction of a church, dried up a swamp which had occasioned dissension between two brothers, drove devils from men and idols. His miracles and prophetic gifts converted many to Christ. As he neared death (c.270), he asked how many unbelievers remained in Neo-Caesarea and was told seventeen. He thanked God and said, “That many believers I found here when I became bishop.” -“The Church’s Year of Grace”, vol. V Pius Parsch. And on a non-liturgical note: Happy Birthday to Geraldine McWeeney and Carol W.! The band played for the annual Air Force Association ball last night at the Beverly Hilton Hotel. A very nice venue, but murderous to get to from this part of the county. Beverly Hills would prefer that the riff raff not go trolling through their city incommoding the residents and tacky-ing up the view. Consequently no freeways go through or even very near their fair city. So, just as everyone is getting out of work, I have to drive from the far eastern part of the county through the middle of downtown Los Angeles, the Wilshire district and into BH. Wonderful. It took about two hours. The gig is good fun. We’ve done it every year for maybe ten years now. We play through the cocktail party, usually held out by the pool, and lead the assemblage into the dining room for dinner. Then we play a few sets for 15 or 20 minutes while they find their seats. I think it went pretty well. The acoustics were such that I couldn’t hear the whole band, just Allen’s snare and my own pipe. And with the two spotlights in my eyes I couldn’t see much either. But they were very appreciative and seemed to like it. It’s a shame the American Air Force tune doesn’t work well on the pipes. But the RAF March Past fits pretty well and “Wings” would be appropriate. If we could just get the band to pick them up. . . . This is also the anniversary of the martyrdom of the Venerable Edward Osbaldeston at York on 16 November 1594. In many English dioceses this is also the feast of St. Edmund Rich, Archbishop of Canterbury who died on this day in 1242 in exile in France for resisting King Henry III. 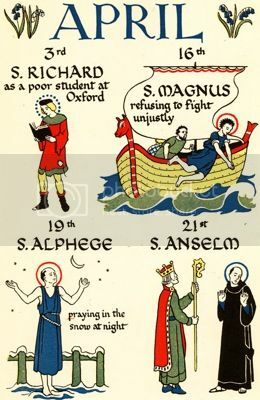 Until the reforms of 1969, the ancient proper Mass of St. Edmund, taken from the Sarum Missal, was used in the Diocese of Portsmouth, of which St. Edmund is patron. The collect reads (in English): O God, in the counsels of Thine exceeding goodness, Thou didst adorn Thy Church with the merits of blessed Edmund, Thy confessor and bishop, and gave her joy by his glorious merits, mercifully grant to us Thy servants that we may reform for the better by his example, and by his patronage be protected from all adversity. Through Christ our Lord. Amen. That headline in the Times this morning will put everyone to sleep. Which is really too bad. The original version of the bill would have prevented anti-abortion protestors who were sued by the abortuaries and their accomplices from taking advantage of the bankruptcy laws. Losing a million dollar lawsuit would have meant owing pretty much every penny the protestor made for the rest of his life to the anti-life people. The Republicans have – thanks be to God – dropped that provision. But the Republicans, being Republicans and bought-and-paid-for by Leviathan, Inc., are still going to push the rest of the “reform” bill which will make it even more difficult for ordinary people to elude the grasp of the credit card companies. The advertising and the solicitation methods these companies use seem to me to be intentionally deceptive, if not dishonest. A government which wasn’t up to its earlobes in bribes (we call them “campaign contributions”) would be making it easier to elude the grasp of these grasping outfits, not more difficult. Here on the left (in both senses of the word) coast we are nothing if not politically correct. We don’t even want to offend the co-producers of a movie by showing their movie. The Fort MacArthur Museum Associates – a group made up largely of veterans – couldn’t get permission from the City of Los Angeles Department of Cultural Affairs to show the 30 year old movie “Tora, Tora, Tora”. The Japanese might find it offensive. Even though Japanese film companies co-produced it. Even though it was criticized when it first came out as being too pro-Japanese. Tom Hennessey’s column in today’s Press-Telegram gives the full story, including the happy ending. Today’s collect: Lord, You are the glory of those who serve You. Look lovingly on our departed brothers and sisters, united in following Christ and His Mother by the waters of baptism and the bonds of Carmel. In Your mercy grant them everlasting sight of You, their Creator and Redeemer. We make our prayer through Christ, Our Lord. Amen. Also on today’s calendar is St. Albert the Great, the Dominican polymath and teacher of St. Thomas Aquinas. In the diocese of Clifton in England this was once the feast of the Blesseds Richard Whiting and companions. Blessed Richard Whiting, thirty-first and last abbot of Glastonbury, suffered under Henry VIII for his loyalty to the Church and strenuous defence of the Apostolic See. He was hanged on Tor Hill, Glastonbury, with two of his monks, and his head placed over the principal gate of his abbey, November 14, 1539. -from the St. Andrew Missal. Nestor Paiva (as he's being taken out of jail to be shot): "Here, I want you to have this ring. I won't need it where I'm going." Ann Sheridan: Afraid it'll melt? Today is also the feast of St. Lorcan O Tuathail, anglicized as “Laurence O’Toole”. He was Abbot of Glendalough and later Archbishop of Dublin. He is now the principal patron of Dublin. His heart is in a reliquary fixed to the wall of St. Laud’s chapel in the Church of Ireland’s Christ Church Cathedral in Dublin. The premier pipe band in the Republic of Ireland is the St. Laurence O’Toole Pipe Band – the only Grade I band in the Republic when last I looked. The O’Tooles were only a point or two off making the finals in the World’s Pipe Band championship this year. If you visit their site, they have some nice mp3s – a longish wait if you have a slow connection, though. On the subject of the beginnings of orders, I sometimes hear it said that the Lord gave greater graces to those saints who went before us because they were the foundations. Quite so, but we too must always bear in mind what it means to be the foundations for those who will come later. For if those of us who are alive now have not fallen away from what they did in the past, and those who come after us do the same, the building will always stand firm. What use is it to me for the saints of the past to have been what they were, if I come along after them and behave so badly that I leave the building in ruins because of my bad habits? For obviously, those who come later don’t remember those who have died years before as they do the people they see around them. A fine state of affairs it is to insist that I am not one of the first, and do not realize what a difference there is between my life and virtues and the lives of those God has endowed with such graces! Any of you who sees your Order falling away in any respect must try to be the kind of stone the building can be rebuilt with – the Lord will help to rebuild it . For love of our Lord I beg them to remember how quickly everything comes to an end, and what a favor the Lord has done in bringing us to this Order, and what a punishment anyone who starts any kind of relaxation will deserve. They must always look at the race we are descended from – that race of holy prophets. 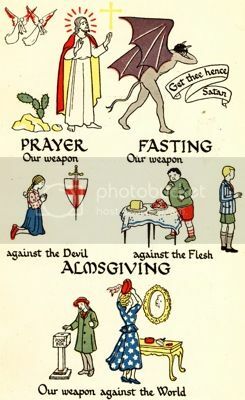 What numbers of saints we have in heaven who have worn this habit of ours! We must have the holy audacity to aspire, with God’s help, to be like them. The struggle will not last long, but the outcome will be eternal. November 14 is feast of All the Saints of the Carmelite Order. The following little prayer “To All the Saints of the Carmelite Order” is taken from Carmelite Devotions published by the Carmelite nuns of Milwaukee in 1956. O glorious saints and blessed hosts of heaven, who have had the privilege to belong here below to the brotherly Order of Mount Carmel, intercede for us with Jesus and with Mary, so that the number of those who wear the holy scapular of Mount Carmel may increase every day, so that they all may wear it in worthy and holy fashion, so that the Kingdom of Christ may grow more and more, so that the ever beneficial devotion of the Blessed Virgin of Mount Carmel may increase, so that the number of those who plunge into hell may decrease, so that every Saturday the doors of purgatory may open to the faithful of the scapular, and thus increase the ranks of Thy fortunate companions and brothers in heaven. Amen. occurs sometime this month. It was probably on the 12th but there are other sources which list dates both before and after the 12th. This might be good for a Catholic trivia question: “Which Order celebrated the first Mass in California?” Because it wasn’t the Franciscans. They did most of the original missionary work in California and are well-known for their 21 beautiful missions. But the first Mass was celebrated in 1602 in what is now San Diego by three Discalced Carmelite Friars, Fr. Thomas Aquinas, Fr. Andrew of the Assumption, and Fr. Anthony of the Ascension who were chaplains to Sebastiano Vizcaino’s voyage of exploration. The Carmelite Order celebrated a Mass on November 12 this year as close to the original spot as possible. It was not open to the general public since the original spot is now in the middle of a U.S. Navy submarine base. But Friars, nuns and naval personnel were there. There is an article on the Mass here. (Note that the PT can’t pass up the opportunity to get in a few politically correct whacks at the Catholic Church.) There was a nice picture in the Los Angeles Times on the 13th, but it didn’t make it into the on-line edition so there’s nothing to link. The Carmelite Digest has some excellent material on the history in the current issue. No doubt there will be a better story than the PT’s on the anniversary Mass in the next issue.
. . . .in the United States is the feast of St. Frances Xavier Cabrini, the first canonized American citizen. She is considered the patroness of immigrants. Today the Praemonstratensians honor St. Siardus, the Abbot of Mariengarten, who died in 1230. Friday the 13th comes on a Wednesday this month.
. . . .in the traditional calendar is the feast of the other St. Martin, this one being Martin I, pope and martyr. In the Pauline rite, this is the feast of St. Josaphat, the Ukrainian Byzantine Rite bishop and matyr who died for his loyalty to the See of Peter. His feast is celebrated in the traditional rite in two days on November 14th. 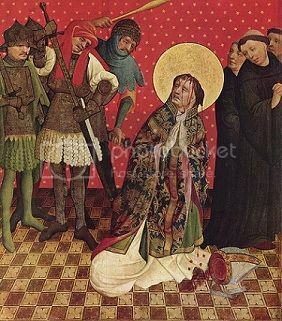 In all the diocese of Ireland today was once the feast of St. Livinus who was ordained by St. Augustine of Canterbury, consecrated bishop in Ireland, and became a missionary to Flanders where he was martyred in 633.
. . . .is the feast of the soldier saint, St. Martin of Tours. According to some stories, he was St. Patrick’s uncle. On this day the Eastern Church celebrates St. Theodore of Studium. 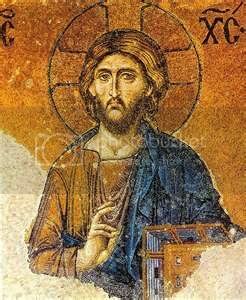 One of the greatest figures of the Eastern Church by reason of his virtues, his knowledge, his resistance to the Byzantine emperors, and the persecutions he suffered at their hands. The monastery of Studium, ove which he ruled at Constantinople, had a thousand monks. His works include ascetic writings, poetry, discourses, and hundreds of letters (759-826). –Engelbert’s Lives of the Saints. Today is Veteran’s Day in the United States and Remembrance Day in the United Kingdom and in many countries of the British Commonwealth. On the eleventh hour of the eleventh day of the eleventh month in 1918 the treaty was signed ending the Great War, the first world war. Last August the A&E network, for unfathomable reasons of its own, cancelled "Nero Wolfe" the television series based on Rex Stout's novels about the orchid-loving, 300 pound, gourmet genius. The series was not only careful to adhere closely to the novels, but it brought the novels to life. The production values were very high, the casting was perfect, even the incidental music was outstanding. They have, laus sit Deo, not abandoned Nero altogether and are continuing to present the re-runs on the weekends. If you haven’t seen the series, do yourself a favor and take a look. If you have, you don’t need me to tell you. The times are Eastern Standard. 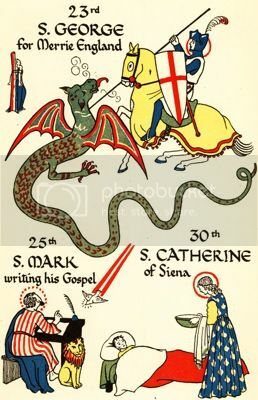 . . . . is the 32d Sunday per annum in the Pauline rite and the 25th Sunday after Pentecost in the traditional Roman rite, using the texts for the 5th Sunday after Epiphany. In Los Angeles St. Peter’s Italian Church run by the Scalabrini Fathers has long had a special celebration for “San Trifone” on this day or the nearest Sunday. There is a procession with a brass band during which his statue is carried around several blocks. It’s a great bit of fun. For those who don’t know – which is probably all of you – St. Peter’s is located right on the north side of Chinatown. The Chinese fully understand processions with statues and brass bands but I think they miss the firecrackers and the half dozen guys in the dragon suit. It's very hard to participate in the national joy at the Democrat debacle when you live in California. Because it wasn't a debacle here. At least, not for the Democrats. Only for humanity. Yes, things got worse. In California every state-wide elective office is now held by a pro-abortionist. Both houses of the state legislature are solidly in the hands of the abortionists and the homosexualist lobby. Both senators are anti-life, as is the majority of the congressional delegation. This state recently passed legislation "legalizing" abortion here in the event that the Supreme Court overturns Roe v. Wade. Predictions are that this legislature will soon pass legislation enabling the designation of unnatural couplings as "marriages" in the next session. If ever a state needed to be exorcised, this is it. The unjust hath the just’s umbrella. The rain has been raining non-stop since Thursday afternoon until and including right this very minute: Saturday 9 November 2002, 6:01 p.m., P.S.T. I played for a funeral/memorial service today in the said rain which I was not looking forward to. Usually that extra moisture will send the reeds berserk. Each will start going flat on its own separate time table. (If they all flattened out in unison it wouldn’t be so bad.) And when each drone reed has absorbed enough moisture it will shut itself off. 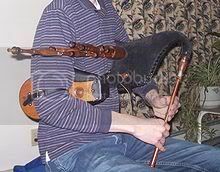 The chanter reed will just get swollen, out of balance, out of tune, and too hard to blow. But for some reason today everything was fine. Yesterday’s practice was dreadful. Today’s performance in worse conditions went quite well. Go figure. The pipes were singing. They even tuned in a minute and a half. It was one of those days when the music all came together. There was even a little awning to stand under and stay out of the direct rain. For the record: the tunes were Tugainn Leamsa's Dean Cabhaig, Flowers of the Forest, Lochaber No More, How Great Thou Art, Chi Mi na Mor Bheanna, Gather at the River, and - at the end of the service - A/G, six times through, no less.
. . . .is the day on which Blessed George Napper (or Napier) was executed in 1610 for being a Roman Catholic priest and reconciling an Anglican to the Roman obedience. The basic facts of his life are given here. 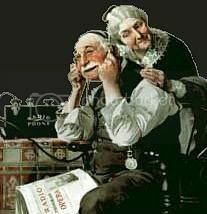 A lay friend of Napper wrote: “Being at supper I said to him: ‘Mr. Napper, if it be God’s holy will that you should suffer, I do wish that it might be to-morrow, Friday, for our Saviour did eat the paschal lamb with His disciples the Thursday night and suffered Friday following.’ He answered, very sweetly, ‘Welcome, by God’s grace; pray you all that I may be constant.’ The next morning the keeper’s wife begged me to tell him that he was to die between one and two in the afternoon, for she could not bear to take the news herself. On hearing the message he embraced me joyfully, and asked if he might say Mass. I prepared all things, and surely methought he did celebrate that day as reverently in all his actions and with as much sweet behaviour as ever I saw him. At the end he prayed some hours, and then declined my offer of some drink for he said that, hoping to meet his Saviour, he would have a sumptuous banquet shortly. Then I put him on a fair shirt which I had warmed at the fire and a white waistcoat. He then gave his money to the poor among his fellow prisoners, reserving a silver piece for the executioner, and went out to suffer, beating his breast thrice as he yielded his blessed soul into His hands that gave it.” This was at Oxford on 9 November 1610. In both the traditional and the reformed calendars this day is kept in honor of the Dedication of the Basilica of St. John Lateran – Omnium Urbis et Orbis Ecclesiarum Mater et Caput: The Mother and Head of All Churches in the City (of Rome) and throughout the World. This, not St. Peter’s, is the Pope’s cathedral. Another martyr is also commemorated today, St. Theodore, a Christian soldier who was burned alive on 9 November. According to his Acta, ecumenism not being his strong suit, he set fire to the temple of the mother-goddess Cybele at Amasea. He was promised release if he repented his act and renounced the Christian faith both of which he refused to do. More about Bl. John and his philosophy can be found here and here. In the Carmelite Order this is the feast of Blessed Elizabeth of the Trinity. The collect from the liturgy for her feast can be found here. Another site with some good links regarding Bl. Elizabeth is here. I am a de facto bachelor for the next two weeks or so. I drove my wife to the airport yesterday from whence she is off to visit her mother in Dublin. In her absence I am, not to put too fine a point upon it, miserable. As married men go, I am one of the most married. She doesn’t have to do anything or say anything; she just has to be here. And she’s not here. This place is dead without her. I shall now pull up a webcast of the news from RTE, grill a couple of lamb chops, and see what sort of beer is in the fridge. Right after Vespers.
. . . .in the Carmelite calendar is the feast of Blessed Francis Palau y Quer, a Discalced Carmelite priest who in turn founded two other Congregations, one of Carmelite brothers and one of Carmelite sisters. that can bring us a deeper love of, and Obedience to, the Church. which all the perfections of the Church are reflected. His prediction came true. The Second crusade was an utter failure. St. Ernest and some others were captured and brought to Mecca. He suffered a particularly brutal martyrdom upon refusing to convert to Mohammedanism.
. . . .is kept in all the dioceses of Ireland as the feast of All Saints of Ireland. The collect prays "Lord, grant us your grace more abundantly as we keep the festival of all the saints of our land: we rejoice to be their countrymen on earth, may we merit to be their fellow-citizens in heaven. We make our prayer through Christ our Lord. Amen." In the Carmelite calendar this day is celebrated in honor of the Discalced Carmelite Third Order member, Blessed Josepha Naval Girbés. From the note in the Carmelite breviary: "Josepha Naval Girbés was born at Algemesí in the Archdiocese of Valencia, Spain, on December 11, 1820. As a very young woman she consecrated herself to the Lord by a perpetual vow of chastity, made progress along the way of prayer and evangelical perfection while dedicating herself generously to apostolic works in her parish community. In her own home she opened a school where she taught needlework, prayer, and the evangelical virtues. She formed many young girls and women and shared with them her wisdom and spiritual understanding. She was a member of the Third Order Secular of Our Lady of Mount Carmel and St. Teresa of Jesus and had a special love for the Virgin Mother of God. Her holy death took place in February 24, 1893. She is buried in the parish church of St. James in her native city." It seems the Angels' World Series win was my consolation prize. My vote has once again been the kiss-of-death for every single candidate for whom I cast it. Not a one survived. I knew the third party candidates had no chance. But all the Republicans went down in flames too. Most of the throw-money-down-a-rathole propositions also passed. Somehow we did manage to see through the gift of public funds to developers that was proposition 51. And we dumped prop 52 which would have made illegal voting even easier than it already is. The easiest access to complete local results that I've seen is through KTLA, channel 5's website. Click on the race at the bottom of their home page for the results of each southern California race. And no doubt it will be worse for the rest of us in due time. We were among the first to vote today even though it was already 10 in the morning. And we had musical accompaniment. Talk about class. I think the class was the 4th grade, but I could be wrong. Our polling place is in a curtained-off section of the auditorium of a local grammar school. Perhaps six to ten feet away a dozen or so young clarinetists were having a lesson. Nobody is going to mistake them for Benny Goodman just yet. But it’s only November. Just a few more weeks and they are going to have one knock-out rendition of Mary Had A Little Lamb. Next election I expect Stompin’ at the Savoy. We went to Mass first and Fr. John specifically prayed for the success of “all candidates who support the culture of life”. I seconded that motion and did my best in the polling place to bring it to fruition, voting for a combination of Republicans, third party candidates, and at least one write-in candidate who is a Republican but didn’t make it on the ballot. And voted no on most of the hair-brained ballot propositions. The state and federal representative offices are really of no interest. All of our districts have been gerrymandered to render the elections next to meaningless. There is no real race in any of these offices in my area. But the governor’s office is finally becoming a contest. The polls here on the last day give Bill Simon a chance to beat the ghastly Gray Davis. Not only does this alleged Catholic do everything possible to promote every anti-life measure, he has taken great pleasure in proclaiming California the leading pro-choice (sic) state in the union. I mentioned a bit about this earlier here. The defeat of Gray Davis would be the highlight of the year.
. . . .in the Carmelite calendar is the feast of Blessed Frances D’ Amboise. From the note in the Carmelite Breviary: “Frances was born in 1427, probably in Thouars in France. She was the wife of Peter II, Duke of Britanny. After his death, and under the direction of Blessed John Soreth, the prior general, she took the habit of the Order in the monastery she had previously founded in Bondon. Afterwards she transferred to another foundation in Nantes, also erected by her, where she held the office of prioress and nourished the sisters with wise teaching. She is considered the foundress of the Carmelite nuns in France. She died in 1485.” There is more here. -from the Introit of the feast. 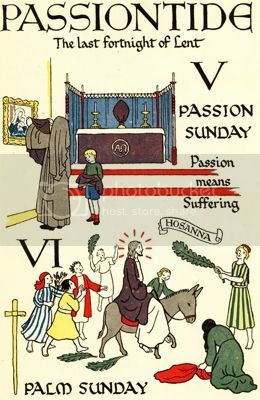 In some of the old calendars this was also the feast of Ss. Zachary and Elizabeth, the parents of St. John the Baptist. Their stories can be found in the first chapter of St. Luke’s Gospel. Wherever you are, read Archbishop Chaput's column before you vote and take it to heart. In California a primary source of information on the key issue is the California Pro-Life Council's website. The "California ProLife Council Candidate Survey" headline is a link which will bring up a chart showing where most candidates in the state stand in regard to abortion. Can I get a credit for that?!?!? You've got to see these adverts for Tom McClintock who's running for Controller of the State of California. The Controller is in charge of the purse strings and signs all the state's checks. Click here and view the video ads from "Cousin Angus". They're best political ads seen in this state in a very long time. Maybe ever. Hurry. They probably won't be there after Tuesday. . . .is the feast day of St. Charles Borromeo. “Day of death: November 3, 1584; canonized 1610. Grave: in the cathedral at Milan. Life. Our saint, one of the glories of the Catholic Church in the sixteenth century, was noted for (a) Church reform, a very urgent need at that time; (b) care of souls in Milan. At first he labored at the side of his uncle, Pope Pius IV, to bring to a successful conclusion the Council of Trent; his pastoral instructions have remained classic to the present day. Born in 1538 of a noble Milanese family and dedicated to spiritual things at an early age, he became a cardinal at twenty-three (1560); soon after, archbishop of Milan. His greatest concern was to put into effect throughout his province the decrees of the Council of Trent. Due to his reforming efforts there soon arose enemies and opponents of high civil and ecclesiastical rank. -from The Church’s Year of Grace, vol V, Pius Parsch. Amerigo is the Italian version of the name Emeric. It was Amerigo Vespucci who provided an early map of the western hemisphere which, taking the long way round, ended in being called after him: America. So St. Emeric’s day is the “onomastico” -- the name day or feast day – of the United States of “America”. The scourge of "combustible breakfast food" strikes again. Allstate and Kellogg have it out in court. "The use of Latin has recently been queried in many quarters, and many people are asking about the mind of the Apostolic See in this matter. We have therefore decided to issue this document, so as to ensure that the ancient and uninterrupted use of Latin be maintained and, where necessary, restored." Saturday was an interesting day. I was taught a gentle lesson in priorities by Our Lord. As some of you have inferred from previous entries in this web log, I am a Carmelite Secular. A council meeting was scheduled for Saturday which I begged off attending as I had a wedding to play for. I showed up in plenty of time. But as it turned out I was double booked. 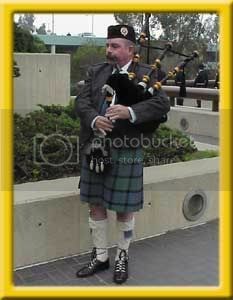 The bride’s mother had hired more than one piper. (She must have been even more pre-occupied than most mother’s-of-the-bride, as she hired two limousines for the bridal couple also.) In the event, I wasn’t needed at all. I got a portion of the fee for my time and trouble. But, of course, not what I was expecting. I take it as the Lord’s kindly way of indicating that I need to pay more attention to the Order’s business. In case I needed any more help in getting the point, the church where the wedding was held was Our Lady of Mount Carmel. I am mortified. I missed mentioning St. Martin de Porres, one of my favourite saints and patron of my garden! (He was, among other things, an herbalist.) Gerard reminded me here. There is more here including an excerpt from the canonisation homily preached by Bl. Pope John XXIII. . . .on the traditional calendar is the 24th Sunday after Pentecost. The Mass liturgy of the day uses the chants for the 4th Sunday after Epiphany. In the Pauline rite this is the 31st Sunday per annum. This is is also the feast of St. Malachy, a 12th century Archbishop of Armagh. He is also claimed as the author of a prophecy indicating all the popes until the end of time. There is no record of its existence until 1595, a good 450 years after St. Malachy's death, and it has been shown to be a forgery many times over. It is also the feast of St Hubert, an 8th century bishop, of either Tongres or Maastrict depending upon which source you use. He is the patron of hunters. You can see the traditional Mass of St. Hubert beginning the hunting season in France here. -oculos aperi cordis eorum, ut te solum Deum verum agnoscant. Once again this year, September and October brought a bagful of solicitations for money from religious organizations who wanted to "remember" my loved ones for me in November. And the vast majority of them never mentioned why they wanted to do this or what good it is supposed to do. I look in vain for the word "purgatory" or phrases like "suffering souls", "poor souls", or "the punishment due to sin". It does make selecting to whom I will donate an easier task. I can "remember" my father by myself. And rather more easily, too, since I knew him and they didn't. So I needn't send them anything. The other much smaller group who promised to pray to shorten my father's time in purgatory are another case altogether. If you haven't yet, see Gerard Serafin's site for an excerpt from C.S. Lewis giving his view of Purgatory. It owes much to the Venerable John Henry Newman. It reminds me of the little book of St. Catherine of Genoa on the same topic. An encouraging and hopeful way to look at the topic. Mass at St. Peter Chanel this morning was even more crowded than usual. The church holds a little over a thousand people; I would guess on that basis there were 600 to 700 there this morning. Father John gave a beautiful homily on Purgatory, praying for the souls of the dead, and the communion of saints. From Pius Parsch: The introduction of a day commemorating all the faithful who departed from this life in the state of grace is due to the meek and holy Abbot Odilo of Cluny (d. 1048). 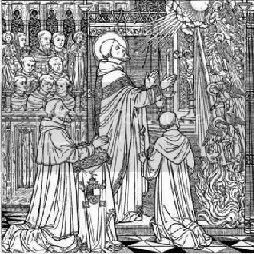 In 998 he ordained that the Office of the Dead be said after Vespers on November 1 in all the monasteries of Cluny. This custom was widely imitated and finally officially adopted by the whole Latin Church. All Souls’ day or the ‘Commemoration of All the Faithful Departed’ was raised to its present high rank by Pope St. Pius X. On this day every priest has the right to celebrate Mass three times. The 1955 breviary reform abolished First Vespers of the Office of the Dead after Vespers of All Saints. At last supreme may reign! O God, Who, through the mystery of the Word made flesh, didst in Thy mercy sanctify the house of the Blessed Virgin Mary: do Thou grant that we may keep aloof from the tabernacle of sinners, and become worthy indwellers of Thy house; through Jesus Christ Thy Son our Lord, Who liveth and reigneth with Thee, in the unity of the Holy Ghost, ever one God, world without end. Amen. In the event of an inadvertent overdose of Vatican news, click here and follow directions. Ant. This Saint hath striven for the law of God even unto death, and hath not feared for the swords of the ungodly; for he hath been founded upon a firm Rock. Go gaily in the dark. Go singing to their shame. And souls you hardly save. And the sea rises higher. And heaven an iron cope. Yea, faith without a hope? The Anglican Ordinariate in the Catholic Church is a reality not only in the United Kingdom, but now in the United States also. For several years this space on the left-hand column of The Inn has been dedicated to the Anglican Use parishes and supporting websites. These parishes and societies were in union with Rome and were under the jurisdiction of their local Roman Rite bishops. But now, as of this writing (1 January 2012) the Holy Father has provided that Catholic parishes and communities in the Anglican tradition will have their own Ordinary and their own diocesan-like structure to gather round. At the moment it is thought that the American Ordinariate may also have care of some Canadian Catholic groups of the Anglican tradition. There is also an Anglican Ordinariate in England and Scotland and one or more are planned for Australia, New Zealand and perhaps elsewhere. 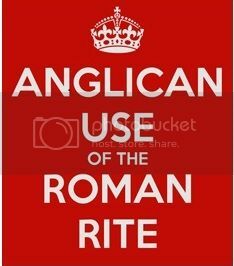 The following are a selection of links to further explore the Catholic Anglican patrimony. O Holy Ghost the Lord, Who on Pentecost gavest the Church the gift of tongues that Christ might be known, loved, and served by peoples of divers nations and customs: watch over the Anglo-Catholic heritage within Thy Church, we pray Thee, that, led by Thy guidance and strengthened by Thy grace, that heritage may find such favour in Thy sight that its people may increase both in holiness and number, and so show forth Thy glory; Who livest and reignest with the Father and the Son, one God world without end. Amen. Carmel of the Immaculate Heart -- a new order of hermit monks in the ancient Carmelite tradition. A Gallimaufrey of Weblogs. . .
. . .which I find enjoyable. It would be very rash of you to infer that I agree with everything in each of them. 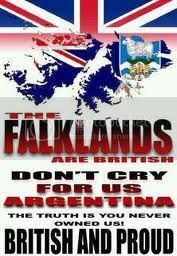 Even rasher to assume that they all agree with me. What's Wrong With the World?" One might infer from this selection of links that I believe "Liturgical Regeneration" is going to come principally, if not exclusively, from a restoration of the traditional Roman Rite. Such an inference would be largely correct. However, see also the Anglican Ordinariate links above. "Altar Cards" - just what it says: they supply easy-to-read and beautiful to look at altar cards for the Traditional Roman Rite Mass. Reform of the Reform I don't hold much hope for this movement; the internal contradictions seem insurmountable. I wish them well and no one will be happier than I if they succeed; but no one will be more surprised either. Give them a look anyway; they have many interesting things to say. Holy Resurrection Monastery, one of the few Eastern Catholic monasteries in the U.S.
A few good links, should you share an interest - not to say an obsession - with the pipes. A Patron Saint for Pipers? The Misty Isle Pipe Band Redivivus?? Well, no. Jen has even taken down the old website I used to link here. This is what our old band used to sound like just before disbandment. Smallpiper -- Vicki Swan explains the bellows-blown smallpipes. Loads of good tunes. 'Till the King enjoys his own again! Inspired by shortwave, but this is, after all, the internet. . . .
A fervent essay on the Blessed Emperor Karl by Catholic journalist and writer Gary Potter. St Michael's Abbey -- Praemonstratensian Canons of Orange, Calif.
What is Scottish Country Dancing, Anyway? (after, of course, you close up the spaces, change the "AT" to an "@" and the "DOT" to a "." An address for complaints may possibly be added at some point. In the fullness of time. Le cunamh Dé. Deo volente. Should you, in fact, decide to drop me a note, it is entirely possible that I may decide to publish it unless you tell me not to. And even if you tell me not to, things do get in something of a muddle here; in a fit of absentmindedness, I might publish it anyway. So discretion is always advisable. Self-absorbed, promethean, Neo-Pelagian, Restorationist, Triumphalist, Rosary Counting, Liturgically Obsessive, Fundamentalist, Slave to Fashion . . . and, no doubt, much else deemed reprehensible by the unco guid. And about that URL. . . .
"What's it supposed to mean?" I hear you ask. Scroll to the very bottom of this page and all will be revealed. "Two of the pubs near Oxford which C.S. 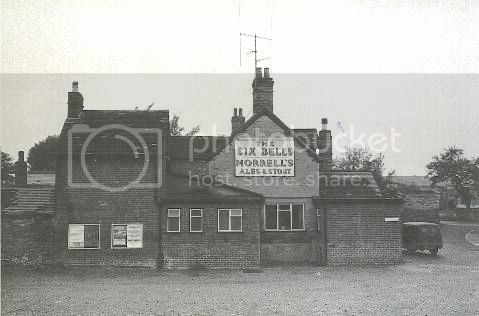 Lewis frequented were The Trout and The Six Bells. Mediterranean world where, then as now, wine was as much a part of the normal diet as bread?"